A novella of supernatural horror. The building stands on Halifax’s shoulder, a monolithic condominium of haunting, postmodern beauty. The structure isn’t on any map, however, nor does anyone live there. Lights twinkle on and off during the night, illuminating windows dimmed with dust. The lobby reeks of sweat and fear. A faceless shadow sits behind a front desk, directing lone visitors to an elevator that stops on the upper floors only. The select few who venture to the top of that imposing mountain of glass, steel, and concrete do not ever return. Two men, however, will enter that high-rise deathtrap and brave its horrors. One man is searching for a missing woman. The other is trying to deliver a pizza. 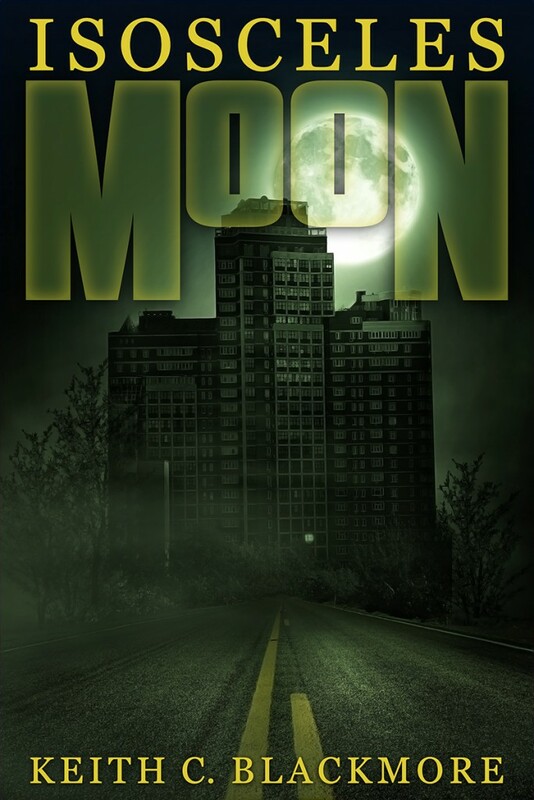 “Isosceles Moon” is a novella of 30,000 words, or about a hundred pages. Contains coarse language and violence.